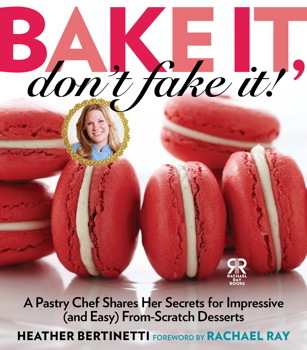 by Heather Bertinetti, author of Bake It, Don’t Fake It! Here’s how to turn out perfect cookies when you’re baking more than one batch at a time. Plus, how to swing it if you only have one baking sheet. 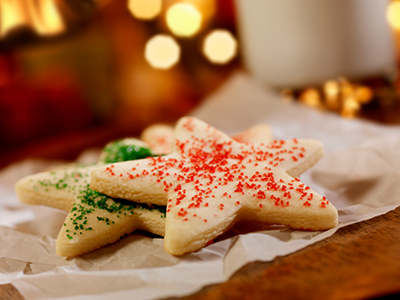 Most recipes for cookies and small pastries make more than can fit on a single baking sheet. Since many home cooks may only have one large baking sheet, the cookies or pastries need to be baked in batches (just be sure the pan cools in between batches). But if you have more than one baking sheet, you can bake 2 sheets at once. When you preheat the oven, place one rack in the top third of the oven and a second rack in the bottom third. Place a baking sheet on each rack. Halfway through the cooking time, switch the sheets from rack to rack, and at the same time, rotate the sheets from front to back for even browning.